Caption slip reads: "Photographer: Wyman. Date: 1961-09-07. Reporter: Thackrey. Assignment: Delay in Aid Story. 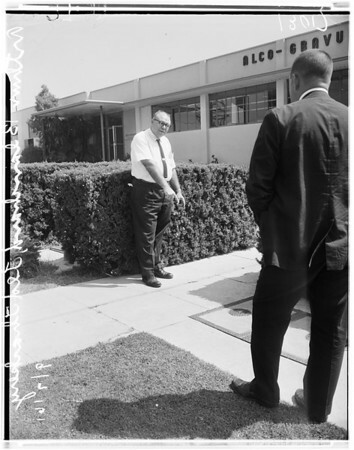 26: Arthur Blanchard shows reporter Ted Thackrey where victim lay for almost an hour. 25: Arthur Blanchard".